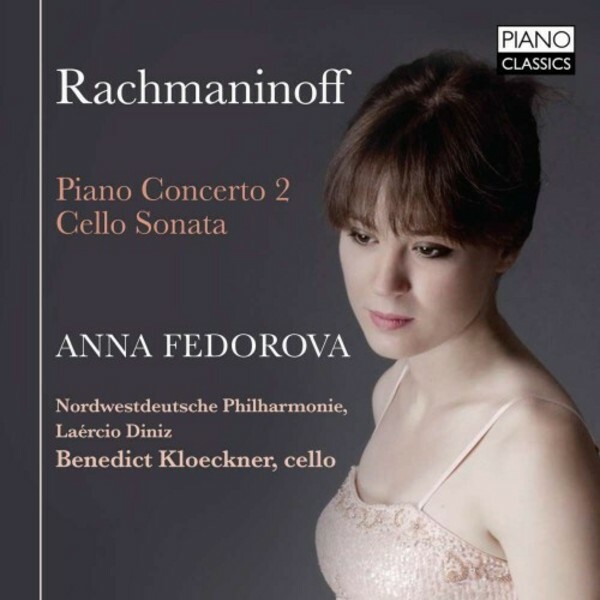 The music of Rachmaninov is close to the heart of Anna Fedorova. The young Ukrainian born pianist, still in her twenties, can boast an impressive career, which has already brought her to all continents, playing in Tonhalle Zurich, Teatro Colon, Carnegie Hall, Amsterdam Concertgebouw (more than 20 times! ), Verbier Festival and many other famous venues. On this new CD she plays Rachmaninov�s second Piano Concerto, and the gorgeous Cello Sonata with young master cellist Benedict Kloeckner.